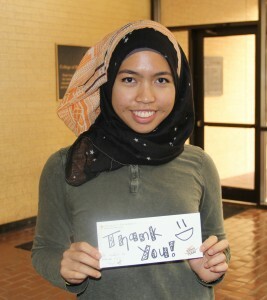 Thank you for your interest in supporting The University of Texas College of Pharmacy. Our students receive rigorous training so that they are positioned to assume significant responsibilities for health care services and delivery to diverse patient populations, as well as for drug therapy management and outcomes. Our graduates are not only trained to become effective clinicians, but also researchers, educators, policy-makers, drug developers, and entrepreneurs. The UT College of Pharmacy can most effectively achieve its mission of providing an exemplary pharmacy education with your financial support. Gifts from alumni, friends, and business partners are necessary to create effective and impactful Pharm.D., masters, and graduate programs that produce healthcare leaders and visionaries. We thank you for your interest in and support of our program. There are many ways you may support the UT College of Pharmacy; please read about the different ways you may contribute below. If you have any questions, do not hesitate to contact the Development Office. You may give a one-time donation via cash, check, or credit card. You may also make a pledge of support, which are gifts that are paid over a period of time. You can make a pledge commitment and set up a payment schedule that works best for you. Click here to view the many areas of support you may give to. You may donate online via credit card by visiting the giving page. The University of Texas Office of Annual Giving manages online gifts and will ensure that your donation supports the UT College of Pharmacy. Please download a gift form (PDF) by clicking here. Care to donate over the phone? No problem. You may reach us at 512-232-2779. Endowments and fellowships are the gifts that keep on giving. Endowments serve to support Pharm.D students, while fellowships provide graduate student support. The funds are invested by the UT System, and the interest generated by that investment is used for the purpose you wish to support: financial aid, merit awards for students, professional development stipends, support for faculty, research, etc. A portion of the income is re-invested each year, enabling the endowment to continue to grow and provide a predictable, stable stream of income over time. Endowment gifts can be made through pledges and fulfilled over a 5-year period. 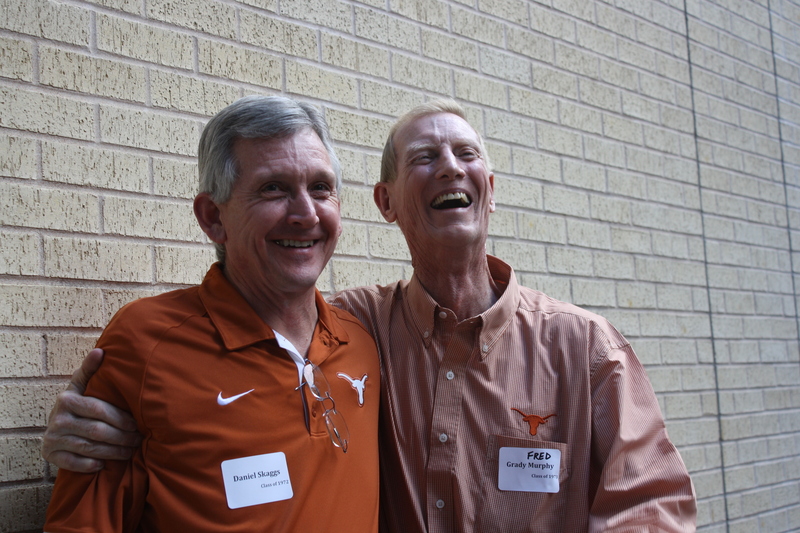 The UT College of Pharmacy is grateful to receive endowed gifts from its generous supporters. Read about how just a few of our friends, including Marina Sifuentes, Tom Garcia, and the Delgado Family, chose to establish an endowment and make a broad and long-lasting impact on generations to come. Please click here to read about different funding levels for endowments. You can make a lasting impact to the growth and future of the UT College of Pharmacy through financial or estate planning, otherwise know as making a planned gift. Planned gifts not only provide financial support to an area of higher education that is meaningful to you, but donors may also benefit from this type of estate planning. Contact Susan Brown if you are interested in making a planned gift or visit UT’s planned giving site for more information. at 512-499-4300 for more information. Providing scholarship support to offset the financial burdens our students experience is a fantastic way to support students. You may set up a pass-through scholarship or endowment in your company’s name to support students. Sponsoring a student organization activity or initiative is a fantastic way to support our students’ professional development and connect with our student leaders. These functions include Project Collaborate, professional speakers, New Student Orientation, and award banquets. Offering opportunities for the UT College of Pharmacy to apply for grants to fund activities and scholarships. Interested in one of these opportunities or have other ideas for ways your business could partner with the UT College of Pharmacy? Please do not hesitate to contact the Development Office. Read more about The University of Texas Capital Campaign here.